Writing about our last trip to the US I so far avoided the elephant in the room (literarily), the enormous state of Texas. It is time to rectify that issue as it was the place where we started and finished our last American adventure. 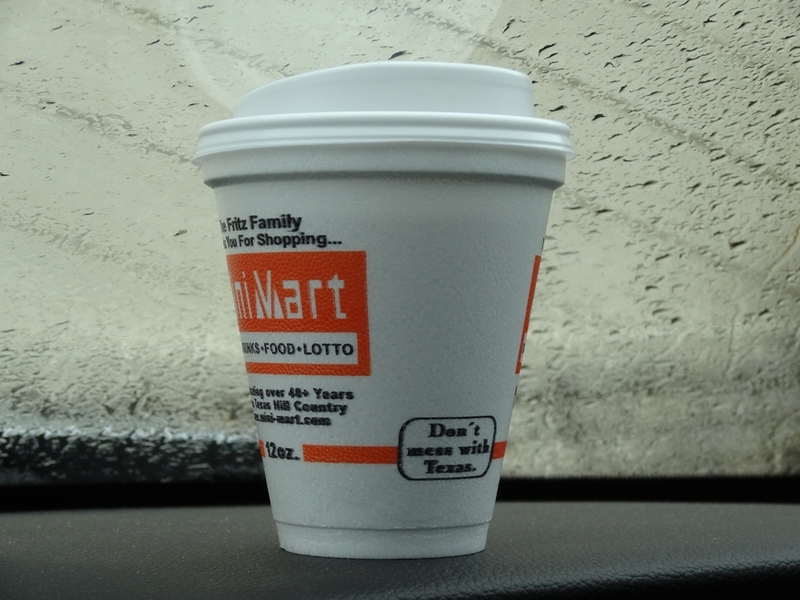 It wasn’t my first visit to Texas. I travelled its width in 2001 during my first visit in the US when we drove the entire 879 miles (1,415 km) of the Interstate 10, all the way from Louisiana to New Mexico. Since then I have also crossed the Texas Panhandle along the 177 miles of I-40, but our 2014 trip was going to be my most thorough exploration of the Lone Star State to date. 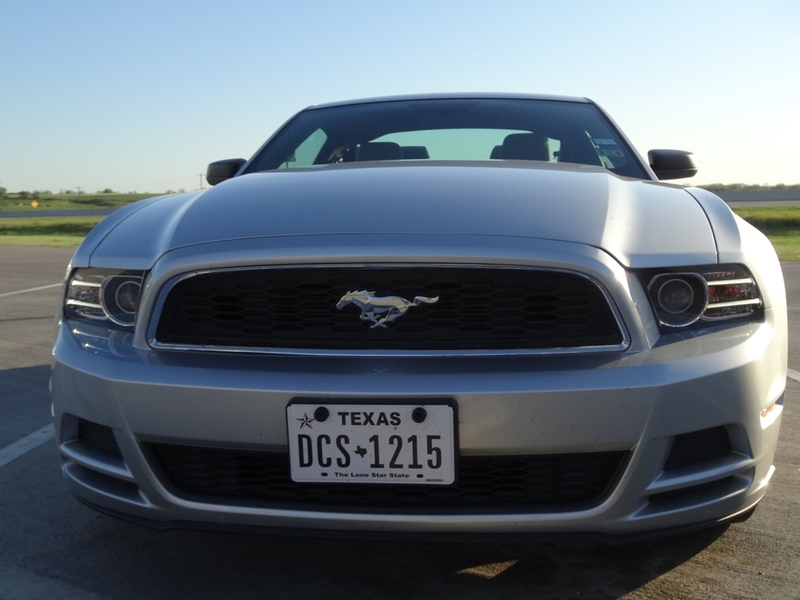 We started our trip in Austin, a blue progressive dot in the conservative red sea of Texas. One reason was the fact that British Airways started flying there directly from London but more importantly it is one of the cities which is growing as a tourist destination and has a reputation of being a cool place. It seems that for once we decided to go somewhere trendy. So how was Austin? It welcomed us with glorious afternoon sunshine and high humidity. As a result as soon as we got to our motel room a huge thunderstorm ensued. It was an almighty deluge. The sky became virtually black, the temperature plummeted and there was hail and strong winds. It put to rest our plans for a late afternoon stroll around the town. Luckily the following day started with beautiful sunshine and warmth. 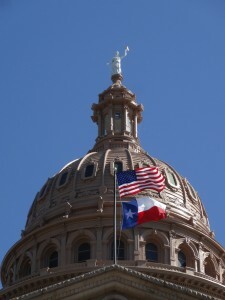 We began our tour of Austin with a visit to the Texas State Capitol. Located on a hill on the northern periphery of downtown it commands a sweeping view towards the Colorado River from its southern façade and is itself visible from many points in the city. It is a huge building. In fact, according to the State Preservation Board website, it is the largest state capitol in square footage. 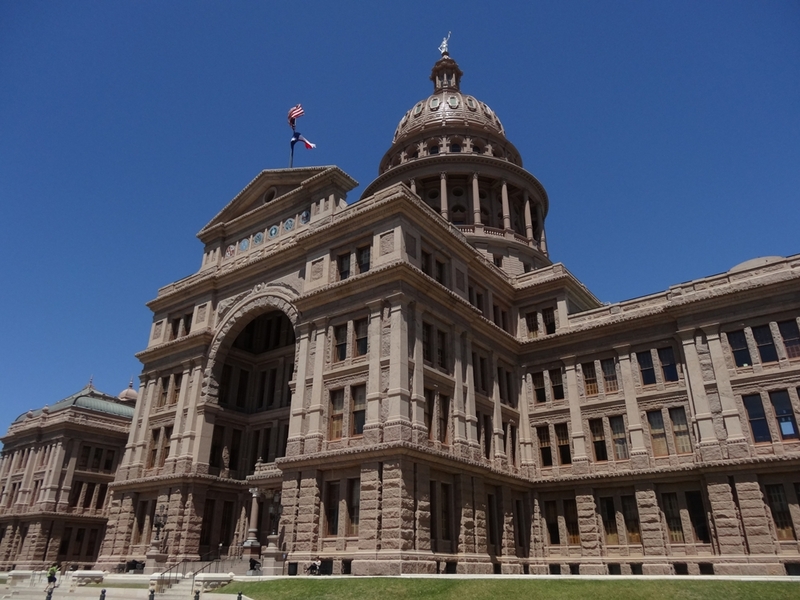 Its facade is clad in red granite and the interior offers symbolic decorations typical of any of the US state capitols. Local and national heroes lurk everywhere. A unique feature is the Texas star located in many corners, from the door handles to the chandeliers. We joined an enjoyable tour of the building and then had a picnic on the immaculately landscaped capitol grounds. From the capitol we headed south along the dead straight Congress Avenue towards the Colorado River (not the one with the Grand Canyon). Along the way we admired a total architectural mix. From some old 19th century single storey buildings, through the beautiful 20th century Art Deco, to some modern shiny and bold skyscrapers. 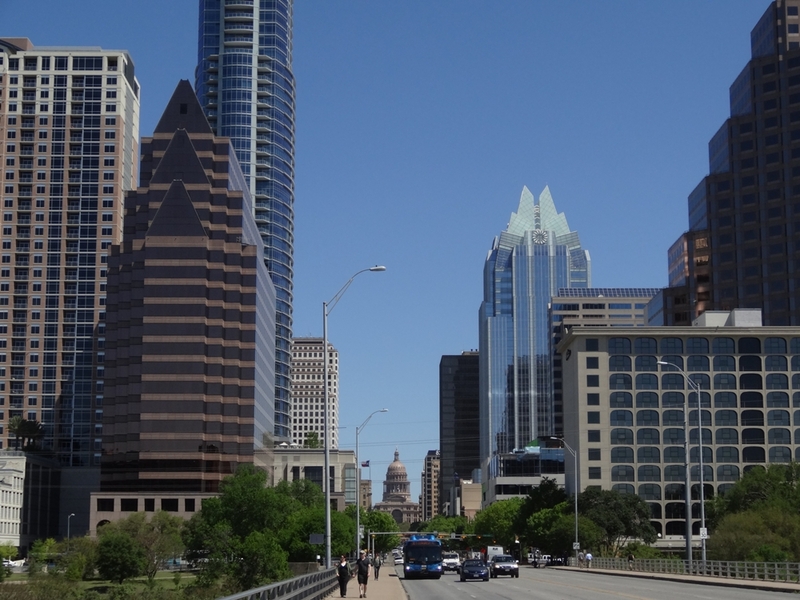 It is worth remembering that Austin is one of the fastest growing cities in America and its skyline is changing very quickly. We stopped in one of the many trendy cafés/shops and got ourselves coffee and tea. And I mean not the usual awful liquid you can get in the gas stations or in smaller towns across America but a proper tasty beverage. The shop was full of weird organic stuff and you could clearly see that Austin is different from than the rest of state. After a quick stroll along the river we headed back north, past the downtown, to the vicinity of the University of Texas campus. Located just a few blocks north of the capitol the university is one of the main reasons why the city is so different from the rest of typically quite conservative Texas. UT Austin is one of the richest and, with over 50,000 undergraduate and graduate students as well as over 24,000 faculty staff, one of the biggest universities in America. All those students and academics give the city a very positive vibe. We had lunch in one of the funky places on the edge of campus before strolling to the Texas Memorial Museum which features great natural history artefacts. 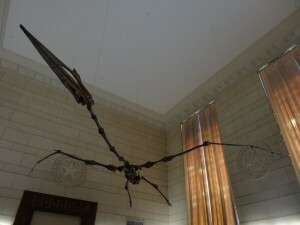 Its most impressive display is the skeleton of the Texas Pterosaur which hangs from the ceiling of the Great Hall. With a 40 feet wingspan it is one big beast. The building itself is also quite interesting with many Art Deco motifs. All around the campus one can spot countless little and large heads of a Texas longhorns. It is the symbol of the university’s American football team, the Texas Longhorns. Now, let me explain that Texans are absolutely mad about football. Sure, it is sport number one anywhere in America but here in Texas it is more of obsession or even religion than sport. Let’s just say that the Longhorns stadium has a capacity of over 100,000, which is more than most European football teams can even dream about. Overall Austin looked like a really pleasant city. 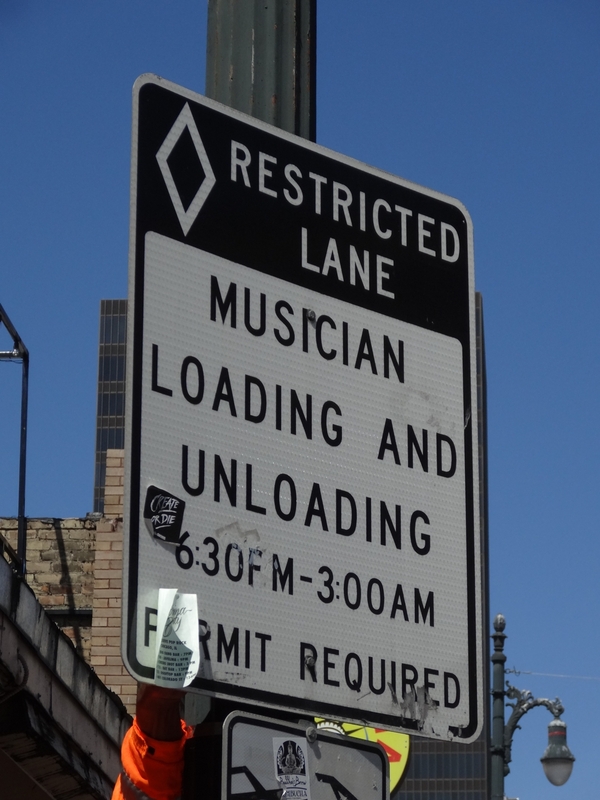 One thing which we couldn’t experience was its famous nightlife as we were there during midweek and we had to leave it early on Thursday to continue north past Dallas to other states on our itinerary. But we came back to the Lone Star state for a few days towards the end of our trip. We drove from Louisiana straight to Houston to visit the Lyndon B. Johnson Space Center. Remember the famous call: “Houston, we have a problem”? Yes, it is the place and we had to see it. 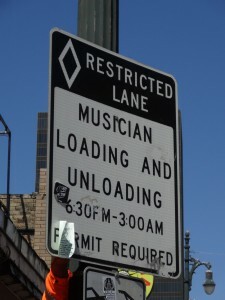 There are a few drawbacks. It is bloody expensive and some bits of it feel more like a Disneyland than space centre, especially on Sunday, but in general we had a great time there. 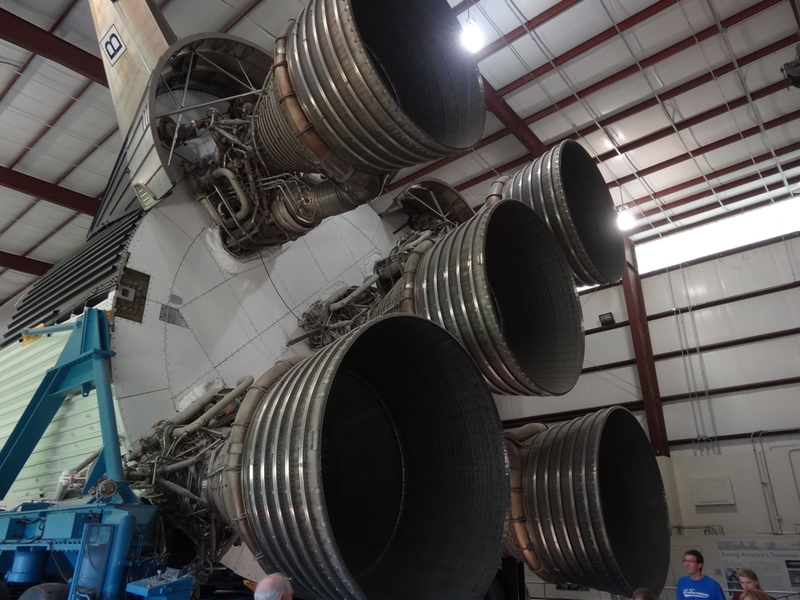 The highlight of the day was the tour of the Rocket Park which, amongst many others, includes the restored Saturn V rocket. It is made up of stages of three different rockets unneeded when the Apollo programme was scrapped and it is enormous. We joined a tour of the Saturn V led by one of the retired flight controllers, now probably in his late 60s or early 70s, who was a superb guide. Entertaining and informative, and crucially, someone who actually took part in many events he was talking about. Other highlights of our visit included the Lunar Vault and the Starship Gallery. 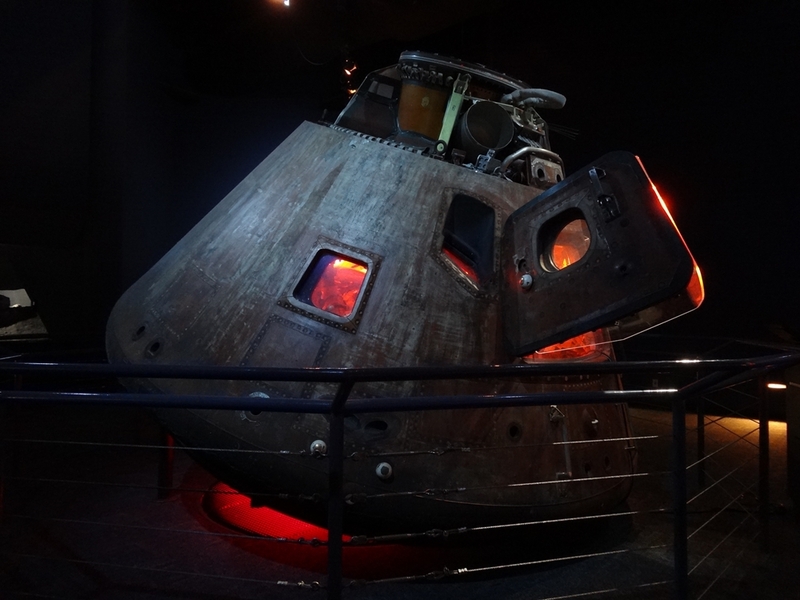 On the face of it, all looks like another science museum until you realize that you are looking at the real Apollo 17 command module. The actual last manned spacecraft to fly to the moon in 1972. In fact you can even touch it. Then, in the Lunar Vault, you can also touch a sample of the lunar rock. How cool is that? Sure, it is touched by so many people that you are probably touching the human grease but still, it is a piece of moon you can touch. One of only 5 such samples in the world. From the Space Center we drove west straight to the picturesque Texas Hill Country. But first we had to navigate the enormous freeways of greater Houston. Some of the five level junctions are really impressive. In Texas the car is a religion and Texan roads are like temples dedicated to cars. Also, everything in the state has to bigger, bolder and more brash. On the other hand it is quite amazing how fast after leaving the cities and suburbs the roads become rural, peaceful and well landscaped. 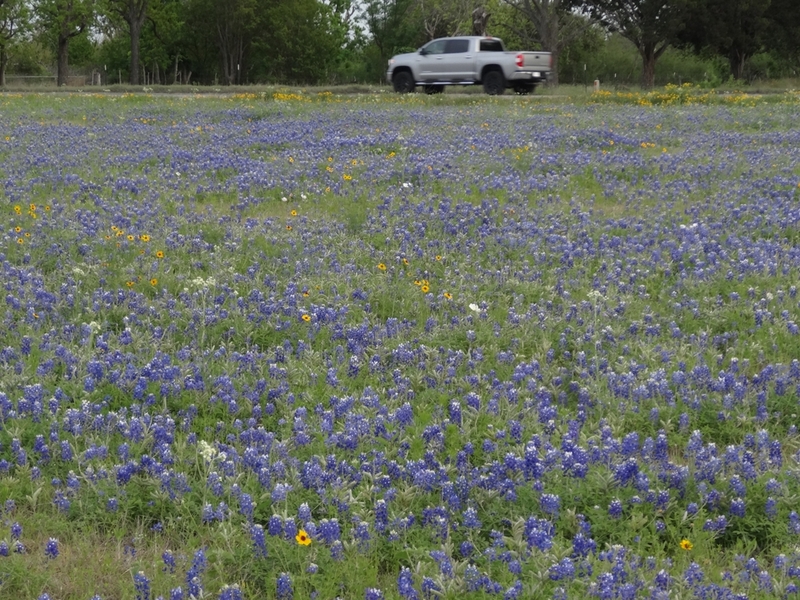 In fact the Texas Highway Department even has a wildflower management program and it buys and sows about 30,000 pounds of wildflower seed each year. 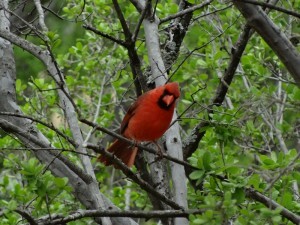 The effect of all this is clearly visible when you drive along the Texas highways in spring (as we did). Millions of flowers blossom on the verges and in the wide median strip. Among them the most beloved by Texans are the strikingly blue Texas Bluebonnets, the state official flowers. There are even websites dedicated to reporting the blooming timings and the best viewing spots in the state. We spent the night in the vicinity of New Braunfels at the edge of the Hill Country. 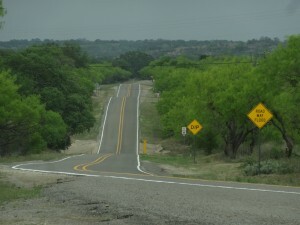 It is one of the fast growing cities of the I-35 corridor between Austin and San Antonio, a sea of low density suburbs. There we had an absolutely amazing BBQ in one of the local joints. I love proper American BBQ and this part of Texas offers some of the best in America. 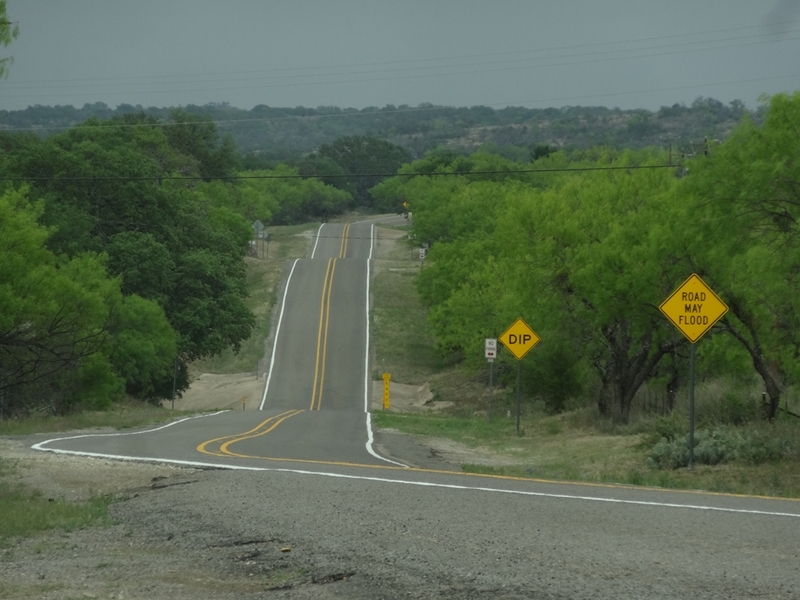 The following day we headed west towards the heart of the Hill Country. It is a beautiful part of the state. Local quiet two lane roads navigate varied topography and join small peaceful towns. Unfortunately the day started with some intermittent rain which spoiled our fun a bit. 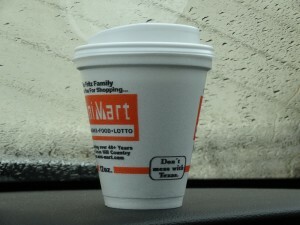 At some point it was raining quite heavily so we stopped in one of the tiny settlements for a hot drink. Here my girlfriend had one of the worst coffees ever, accidentally getting some sort of weird caramel flavoured beverage which was supposed to be coffee but was far from it. Good I don’t drink coffee. 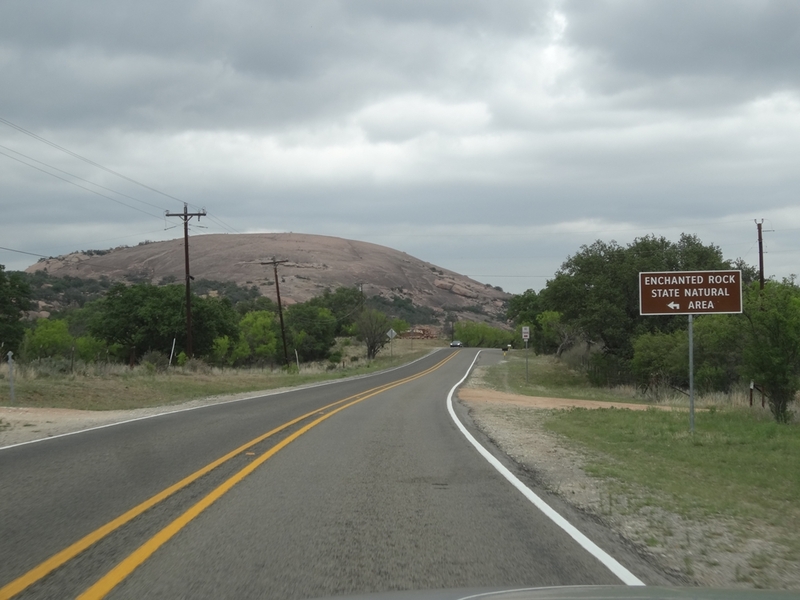 Luckily, the weather soon improved and we could proceed to the Enchanted Rock State Natural Area. Enchanted Rock is a prominent granite dome which offers some nice hiking and fabulous views from the top. We spent a few hours in the park, climbing to the top as well as circumnavigating the whole monolith. 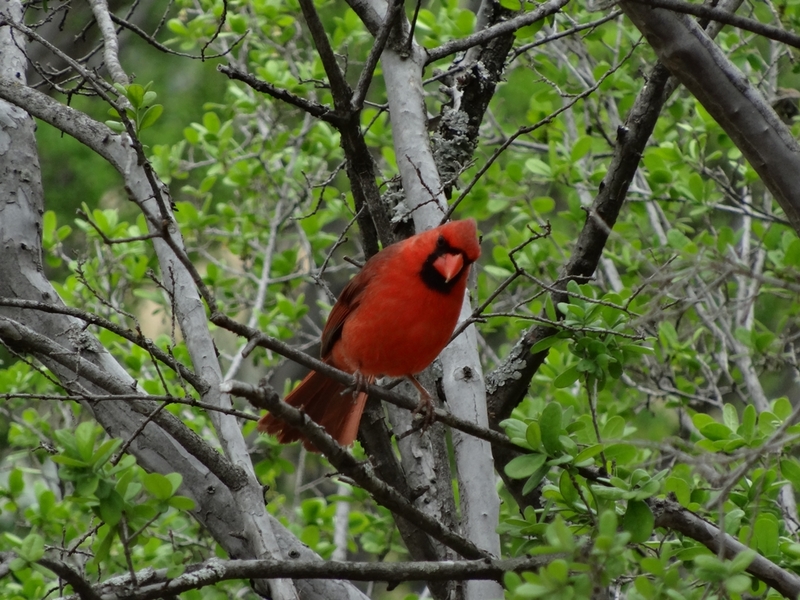 Apart from the views of the surrounding landscape we could also admire some local wildlife like for example the striking northern cardinals. These small red birds look really funky with their tiny “punk style” head feathers standing up, and most people will probably find them familiar due to the famous Angry Birds game. Enchanted Rock was the westernmost point of our trip, from there it was time to head back towards San Antonio and Austin. The next day was our last one in Texas as we had to fly back to London in the evening. Before going to the airport we headed to downtown San Antonio to see the Alamo. Now, I was never really that interested in seeing it as I was fearing Disneyfication of the whole experience. But as we were so close and had a few spare hours it would be silly not to visit the famous landmark. What surprised me the most was its size. It is way smaller than I expected. But it was as touristy as I expected, with Disney style queueing system to enter the mission’s chapel. Despite that it was interesting to see the place we heard so much about, including from the guide at the state capitol in Austin, right at the beginning of our trip. From this perspective visit to Alamo was a nice closure of our 2014 tour of the southern USA. And that’s was it. From Alamo we drove north to Austin from where we flew back to London. This entry was posted in Uncategorized and tagged Alamo, Austin, Enchanted Rock State Park, Houston, Lunar Vault, Lyndon B. Johnson Space Center, texas, Texas Hill Country, Texas Pterosaur, Texas State Capitol on September 5, 2015 by admin.